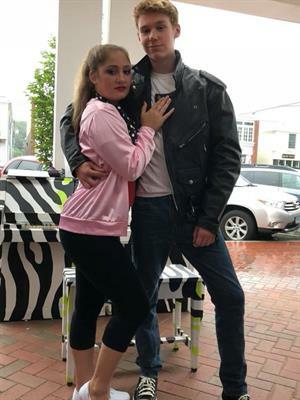 WISP PERFORMANCES PROUDLY PRESENTS GREASE!!! Name: WISP PERFORMANCES PROUDLY PRESENTS GREASE!!! 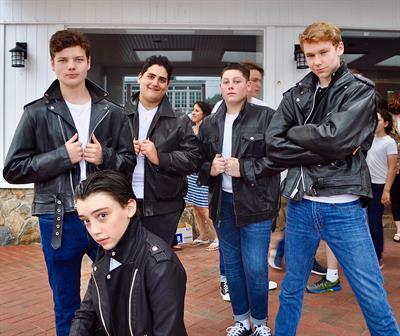 GREASE IS THE WORD this summer. Step back in time to poodle skirts and bobby socks! Are you a Pink Lady or T Bird? 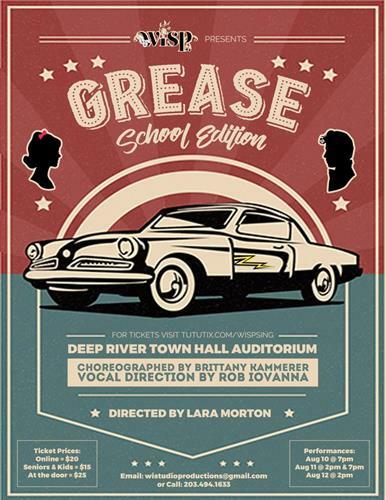 Join our amazingly talented young cast from all over the Connecticut Shoreline as we bring Broadway to the historic Deep River Town Hall Auditorium. Tickets for WISP's Summer 2018 production are now on sale! Get your tickets in advance for the hottest show of the summer and save!